I have always loved things which are made by the slow and deliberate accumulation of parts whether the dry stone walls of the North or a sentence that contains all that needs to be said. The result seems casual, organic and simple but the process is usually long and far from effortless. 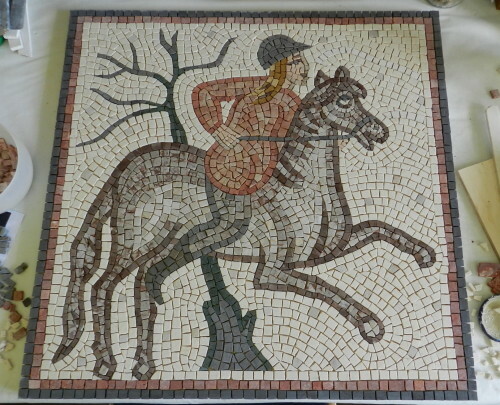 So it is with mosaics. 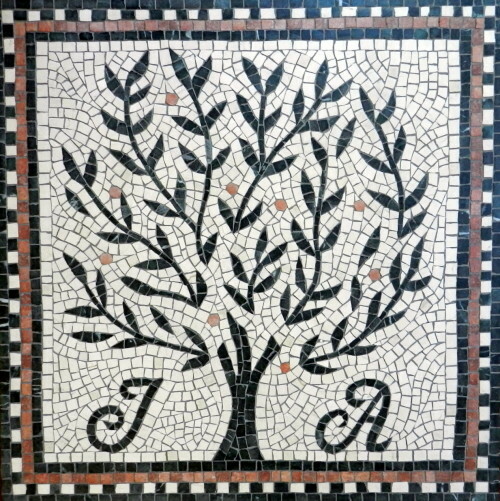 which are inspired by Roman designs. 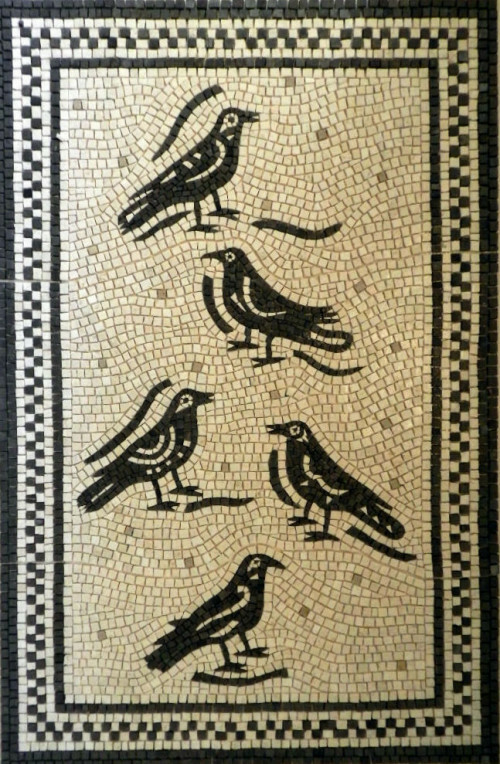 My aim is to preserve the simplicity and directness of early mosaics while producing original works which suit the way we live now. 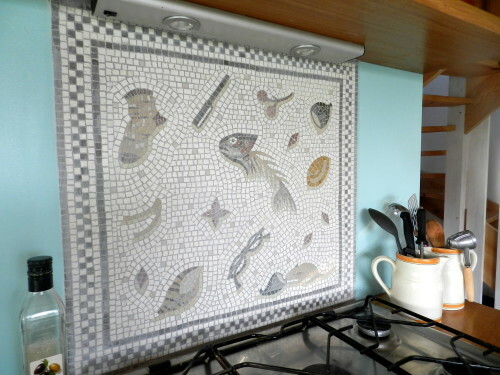 Helen Miles trained as a mosaicist with mastercraftsmen in Thessaloniki and Athens who taught using traditional methods with a focus on Byzantine iconography. 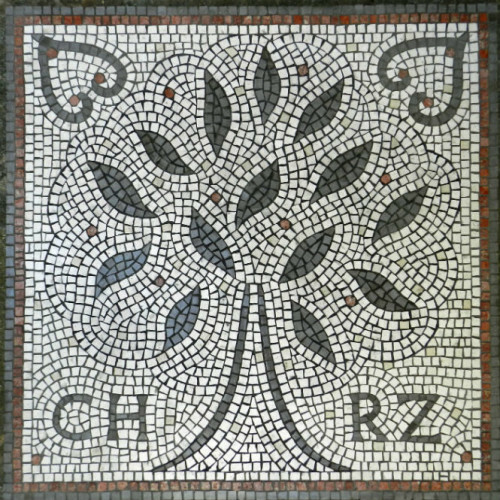 Later, she became interested in Roman designs and now makes contemporary, site specific mosaics in marble for a wide variety of clients both in Europe and America. Born in Glasgow in 1963, Helen studied English at Oxford University before moving to America and the Middle East to work as a journalist. 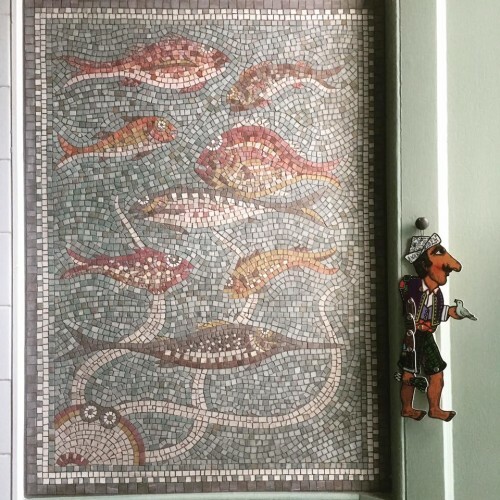 It was in 2003 while living in Thessaloniki in Greece, a UNESCO city famous for its concentration of Byzantine churches, that she began to study mosaics and her passion for them went on to become a full time profession.